Dr. Guttikonda is a Board Certified by the American Osteopathic Board of Plastic and Reconstructive Surgery. He received his Doctor of Osteopathy degree from Kansas City University of Medicine and Biosciences in Missouri and his Bachelor of Science in Psychology from St. Johns University in Queens, NY. He completed a Rotating Internship with Surgical Emphasis at St. Barnabas Hospital in the Bronx, NY as well as a residency in General Surgery and a Plastic and Reconstructive Surgery Fellowship with Emphasis in Hand Surgery at the same institution. Dr. Guttikonda is a well-respected member of the plastic surgery community and has contributed to extensive research in this area of study. In his work, he strives to provide the highest level of patient care in a safe and supportive environment. 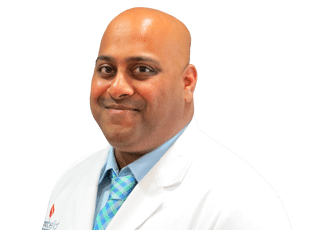 Above all else, Dr. Guttikonda, believes that it is a physician’s job to do no harm while listening to the needs and expectations of the patient and setting realistic, positive goals. In his spare time, Dr. Guttikonda enjoys cooking, exercising, and traveling.